There is a rising demand for IT engineers in Japan as many point out there is a shortage of such professionals domestically. An estimate shows that Japan will face a shortage of close to 600,000 IT-related professionals by 2030. As companies are moving to recruit workers from overseas, skilled IT engineers, especially from Asia, are increasingly garnering attention. Such a trend seems to be in line with the government’s policy to further increase the number of foreign workers with technical skills. What are some of the issues Japanese firms need to address when expanding the hiring of foreign workers? Staffing agencies reportedly plan to shore up their efforts to recruit IT workers from Asian countries. Meanwhile, a program called Project Indian Institutes of Technology (PIITs), which involves IT-powerhouse India, invites students from the Indian Institutes of Technology (IIT) to intern at Japanese firms. The Japan Times organized a forum on June 13, titled “IT human resources sought overseas by Japanese companies: an example of an internship program by IIT students,” to enhance the discussion regarding the IT engineer situation in Japan. 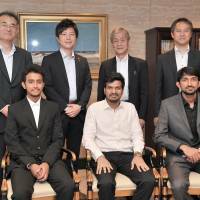 Japanese companies accepting IIT students as interns and Indian students taking part in the program were invited to discuss their thoughts. The participants of this forum were Hiroshi Hirabayashi, president and representative director of the Japan-India Association; Shigeo Mizuno, director and corporate vice president of Fujifilm Software Co.; Koji Iwamoto, deputy manager of the general planning department at Tonichi Printing Co.; and Toyoaki Machida, Japan general manager of the global section at Webstaff Co. Additionally, Himanshu Tolani, a third-year undergraduate student at the Indian Institute of Technology, Ropar; Shubham Jain, a third-year undergraduate student at the Indian Institute of Technology, Jodhpur; and Yash Ubale, a third-year undergraduate student at the Indian Institute of Technology, Ropar, participated. The moderator was Takashi Kitazume, chief editorial writer of The Japan Times. Below are excerpts of their discussion. Moderator: Thank you for your participation despite the bad weather today. First, I’d like to ask Mr. Toyoaki Machida of Webstaff Co., who created this internship program, what was the background and reasoning behind the launch of this initiative? Machida: Let me explain the Project Indian Institutes of Technology (PIITs) program. It provides IIT students with a two-month internship in Japan and aims to create future full-time employment for them at Japanese companies. My main role at Webstaff is to introduce IT workers from overseas to Japanese companies. We have noticed that the hurdle is still high for Japanese firms wanting to employ foreign workers, prompting us to launch this project. Webstaff Co. officials meet with Sarit Kumar Das (center), director of the Indian Institute of Technology, Ropar. | WEBSTAFF CO.
That hurdle stems from standards required of potential applicants, such as a good command of Japanese language. The whole country is looking to boost recruitment from overseas, but this hurdle remains. Foreign companies are able to recruit competent individuals regardless of their nationalities. But the main recruitment targets of Japanese firms are solely individuals residing in Japan. Given these differences, it’s obvious that there is a discrepancy in competitiveness between foreign and Japanese companies, something that we kept in mind. Based on that awareness, we thought about what we could do and we fortunately developed ties with IIT while we conducted our business at our branch in Bangalore. That was the start of everything. We felt the hurdles were quite high for students overseas to come to work in Japan, making it difficult for them to engage in work for a long period without prior experience in the country. 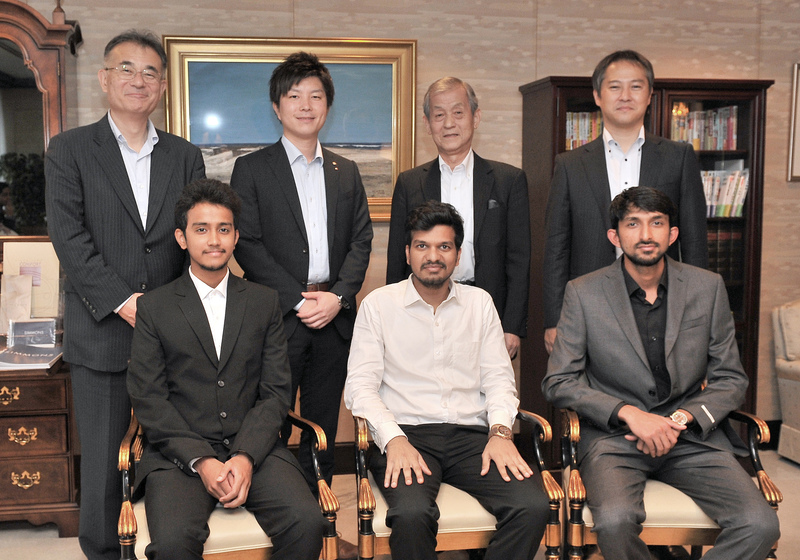 Thus, in March 2016 we launched PIITs, in which we invited six Indian students last year to participate in an internship, and, thanks to the program, Japanese firms will employ four of them. This year, we have 11 students doing internships at several Japanese companies. Moderator: Now let me turn to two of the firms accepting Indian students this year. What are your companies’ intentions behind joining this internship program and what kind of expectations do you have from the interns, as IT human resources, from abroad? In addition, could you explain your companies’ situation, in terms of needs? Furthermore, please give us some feedback through this internship on some points that you think need to be given consideration when hiring overseas talent. 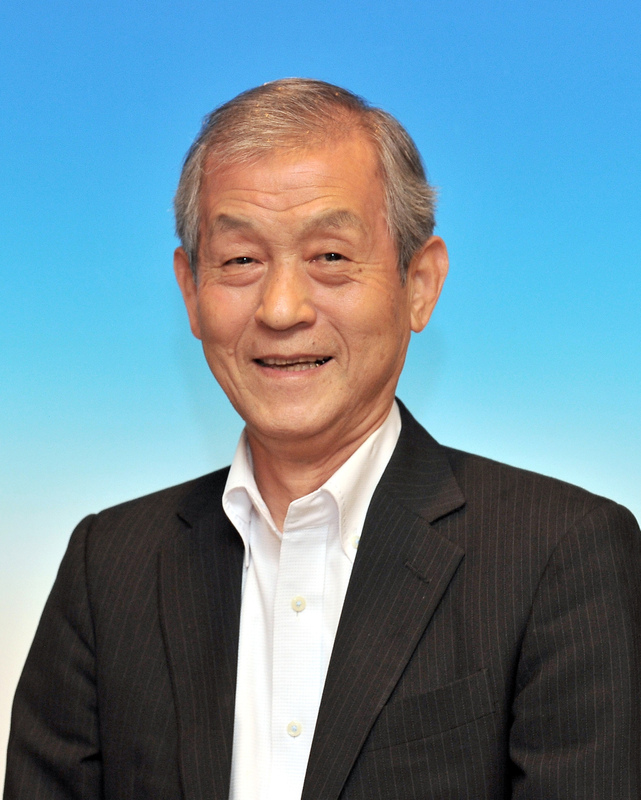 Can we first hear from Mr. Shigeo Mizuno of Fujifilm Software Co.? Mizuno: Our company is an IT-business subsidiary of Fujifilm Corp. We create software for general customers. Our products and services need to be competitive, absorbing newly developed functions properly and promptly and differentiating us from other rivals. This is very crucial in having a competitive advantage. In that sense, the quality of IT engineers working for us is critically important. We always have a desire to hire those with excellent skills. However, as it is very true that there is a huge shortage of IT-related human resources in Japan, we have been seeking various opportunities to secure outstanding talent. Then, Mr. Machida of Webstaff introduced us this internship program and we seized the opportunity. As we are aware that Indians are widely known to have high IT skills, we had high expectations from them when we decided to accept two interns through this program. We expect our Japanese engineers to be inspired by the interns and thus can grow further. That’s the synergy we would like to see. It’s been a month or so since we accepted the interns and they have turned in a great performance as expected, true to their reputation. For instance, if we gave the two a challenging task that we would expect them to complete in a week, they managed to accomplish it within a day. Their implementation level is quite high. We are really happy to take part in this internship program. Our Japanese engineers have actively interacted with them and made efforts to have communication in English since they still do not have good command of the Japanese language. I’d like to mention a couple of possible challenges when accepting interns from overseas. We felt that the living environment could be a bottleneck. Actually, this program was first proposed to the human resources department at Fujifilm Corp., which went on to introduce it to us. They decided it was difficult to accept interns, because the facility where students can gain working experience is in a western suburb of Kanagawa Prefecture. You cannot expect English signs there and you need to drive to get around, which means some Japanese staff need to accompany the interns on weekends. Fortunately, we are based in Yokohama, which promotes itself as an international city and features sufficient public transportation. Additionally, we have had some Asian regular workers for many years. So, such a foundation enabled us to procced with the program smoothly. Moderator: What do you think is the potential from actively employing foreign workers for your company, as well as Japanese firms in general? Mizuno: Given the low birthrate, aging society and a decreasing labor force, it’s very difficult for Japanese firms to survive if they stick to hiring only domestic human resources. I’m sure most of the businesspeople working for Japanese companies would agree with this. Talking about Fujifilm, more than half of its sales come from overseas, gaining revenues from customers in the global market. I feel it’s indispensable to raise competitiveness by employing superior workers across the globe. Especially in the IT industry, the United States is the source of new technologies, thus one perspective we need to place importance on is how much we can catch up with their technologies. In that sense, Indians have advantages in that they have good command of English, and can read and understand a huge volume of documents at a fair speed and master the latest technologies. We really have high expectations from international human resources. Moderator: Thank you for your valuable feedback. Next, Mr. Koji Iwamoto of Tonichi Printing Co., could you give us your comments on why your firm decided to participate in this internship program and what expectations you have? In addition, what did you find after going through the program? 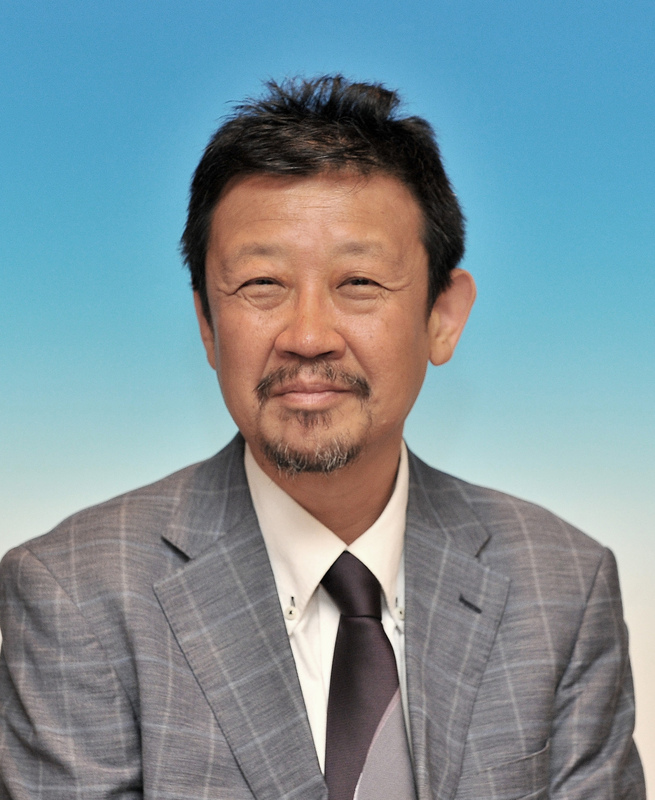 Iwamoto: In our case, Tonichi doesn’t have a section in charge of system development. We are the only one into the second year of this internship program, but when we were first offered this program last year, we just casually said “OK” without serious intention as a company. We haven’t hired any foreign employees, and nobody can speak English. My department has a team promoting new businesses and I just thought this program sounded a bit interesting. We had no idea what the Indian Institutes of Technology were like in the first place. We then researched what kind of students they had and came to know that excellent Indian students would come to Japan for an internship. We started to consider what assignments we could give them. Initially, I heard many negative opinions on accepting interns, but, as I have explained it for the past year, the program is now rather well known within our Mainichi Newspapers Group. We assigned the interns to develop a system to improve operational efficiency. Most of our employees work at printing and its relevant sections, but we also have 70 to 80 staff in our administrative division. Therefore, last year we asked the interns to create a system for schedule management and, for this year, to develop an application for business card management. I assume they are having difficulty with this because it’s very Japanese. In September, we will employ two individuals who took part in last year’s internship. When we made the decision to employ them, we had intensive discussions within the company. We knew we had to embark on new ventures at Tonichi since the newspaper industry is in a difficult situation these days. We intended to have a successful product making the most of their IT skills. What I noticed from implementing this program is it will be well-suited to a company with intentions to work on new projects or to create a change in their businesses. Though we are not a developer of software, we managed to work on new projects. We found out that the intern students are very flexible in addressing the assignments we gave. I imagine typical Japanese systems engineers work via detailed schedules and specifications, probably taking a week or so to complete a task, but Indian interns could develop a product in one day after we gave them rough idea about what we’d like to have. As for hiring foreign individuals as regular workers, our human resources department has struggled to arrange things for this September when we welcome the two new hires, since it is the first time for us to have foreigners. Some of what we faced during this employment procedure stemmed from a difference concerning the issuing of graduation certificates between the two countries. In Japan, when students do job hunting, they carry a certificate of expected graduation as one of their necessary documents, while in India and abroad, it seems there is no such certificate. They receive a certificate after graduation, but I heard it takes time until they receive it. Finally, I’d like to mention the possible impact from this internship program on Japanese companies. I heard that about 1.5 million students applied to IIT every year and 10,000 of them are successfully enrolled. The top 1,000 students belong to the department of computer science and Webstaff this year managed to bring 11 from that group. If we were to welcome 100 such students from IIT to Japan, it would be very big news. I told my colleagues within the Mainichi group that they would surely make a significant contribution to our group companies, so how about hiring 10 to 15 IIT students? If 50 or 100 students from IIT join Japanese companies, we could see a revolutionary change within the IT industry. Moderator: Thank you very much. Now I’d like to ask some questions of the students from India who are participating in the internship program. What are some of your thoughts regarding working abroad, especially at Japanese companies? What needs to be improved and what were the challenges you faced? Additionally, what kind of contributions do you think you can make to Japanese firms? First, let’s hear from Mr. Himanshu Tolani, please. Tolani: So as far as the perspective of being a student from IIT, and speaking my point of view as well as (that of) other students who are studying in my university, I would like to say that the students from IIT are open to working overseas. They’re looking for opportunities to actually work overseas, because there are various reasons for it. Because if you keep in mind even that the pay, as well as inflation in the country, the pay scales overseas are better compared to India. And also the fact that in India the IT industry is like a rat race. The number of people graduating is increasing while jobs in the IT industry are decreasing. So apart from that, for students like us it’s also an opportunity to work overseas, learn a new culture, get to know a new work culture as I would say Japanese work culture is a bit different from how Indian work culture works. People here are really punctual, they have a real organized way of working throughout the day. So it’s a good thing to learn. Intern Himanshu Tolani reporting his work progress to Tonichi Printing Co. colleagues. | TONICHI PRINTING CO. I would say this initiative, PIITs, is a good opportunity for students like us to actually show our skills that we are learning in the university. So as far as my thought regarding working at a Japanese company, I think it would be a good opportunity for me to come here and work for a Japanese company to show my skills in their cause. And also the fact that working this past month has taught me many things such as schedule planning through which I learned to be punctual. In India, you don’t really expect people to be on time, but in Japan, you have to be on time. That’s a good thing to learn here. And apart from it, regarding working schedules in India, people are not as organized as people are here. So it was a good quality that I learned in my past one month. I also learned new things about Japanese culture. For example, I went to an onsen recently, which was nice. There was also very good Japanese food that I ate, so there are really good things that I learned here. So I really like this place. It’s a good, peaceful and, I would say, well-organized place. So as far as the challenges are concerned, in the past month that I have faced, I would say the only challenge would be a language barrier to actually communicate. Sometimes it is difficult to express what you want to say or what difficulties you are facing; that would be the only thing. And that happened, I would say mostly in the first couple of days, and after that I got used to it. And every day even I’m learning new Japanese words, so it’s a good thing. And I think it, the language barrier, exists wherever you go. So I think people get used to it with time. Regarding improving the IT industry here, I would say the work culture in Japan and the work culture in the IT industry in India are quite different and I think people may want to adapt the Indian culture because it’s more flexible. And plus, it’s more deadline-oriented, rather than daily-basis oriented. So people keep the deadline in mind for a particular task, rather than working day in and day out. This means that the IT industry in India is quite relaxed. In Japan, it’s very organized and people go to work from nine to five. But in India, you go at 11 o’clock, 12 o’clock and you may work overnight, but the thing is you have to finish the task before the deadline. So this is how IT industries mainly work. Because I think creating software is an art, you need the right frame of mind to win. I think if Japanese IT companies try to accept this kind of work culture, I think they might be able to attract IT engineers from all around the globe. As far as my contribution is concerned to the Japanese company, right now I’m quite focused on working on the internet project I’m working on and giving it my best. In the end I hope to give the best product I can to Tonichi Printing. Moderator: Thank you. Next, let’s hear from Mr. Shubham Jain. 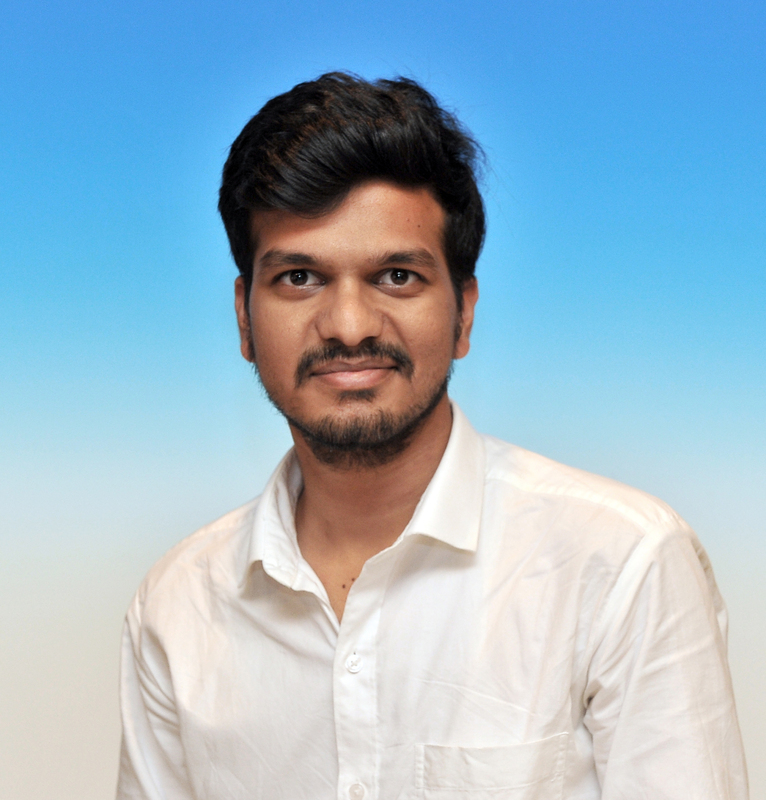 Jain: On the first question about my general thoughts on working overseas, I would like to point to the fact that Mr. Iwamoto stated that the students that come to IIT and especially the people who are graduating from computer science are among the top students in India. They are from the top institutes in the country and are highly skilled. Apart from the best knowledge, we also need overall development, which is really required in the current scenario such as basic company manners and how to communicate with people around the globe; these skills are really important when it comes to being a good IT professional. We don’t really find this type of communication system in startups or small companies in India, whereas I did find this type of communication here, so it’s really good for me. As far as working in a Japanese company, I would like to point out that in India, I’m really lethargic and I’m a procrastinator kind of person. So when I’m in Japan, the first few days were a little too tiring for me. Working from around nine to six in the evening was difficult for me. But at the end of the day, we need to be disciplined in our lives. We need this kind of discipline. I totally think that the amount of work that the Japanese people do is incomparable to other people. Japanese people, they are workaholics; they like to do work. As I previously mentioned that Japanese people work a lot, but they are not really flexible regarding their work and they prefer doing work on a daily basis on a fixed schedule. Working to a schedule is a very good thing that I learned from the people here. Being too flexible can distract us sometimes. Being flexible is a good, as well as a bad, thing. For me it comes across as a bad thing because when I am procrastinating, I am unable to finish my work on time, so working on a daily basis works really well for me. So discipline, which was kind of lacking in me, is a really good thing that I learned here. I’m adding one other thing to the above point. I would also like to note, as Mr. Iwamoto rightly said, the specification and design requirements are really not so important in India if you work in a small company. If you are working in a big company in India, the design and specification documents are equally important like Japan. But if you are working in any company in Japan, they outline a proper schedule. I’ve learned WBS (work breakdown structure) schedules, where each aspect of the work is broken down into different tasks, creating smaller tasks to be completed in order. Regarding the design and specification documents, they are really important in developing a software. So I’ve rightly inculcated the knowledge of design and specification documents I learned at Fujifilm Software. The immediate challenge that I’m facing in Japan is the communication barrier. We don’t really know Japanese and learning it in a few days isn’t very easy. The point is, that whenever we start something, we obviously face some difficulties. But after that, we don’t really need the language to communicate, we can just communicate through actions and are able to understand what other people are saying. I would like to say that the language barrier is very big and if we were to join these companies as full-time workers, then we need to learn Japanese. Also, I’m a vegetarian and it’s really difficult for me to get food because finding good vegetarian food in Japan isn’t easy. So language and food are the two areas I’m having difficulties in. Mr. Machida told me once that the recruitment process in Japanese companies takes a really long time. It would be good if Japanese companies can reduce the amount of time to recruit people. Maybe the Japanese are accustomed to this kind of environment in which the recruitment process takes a long time, but hiring from a global market, it is likely that the applicants won’t really wait around to get recruited. So if the recruitment process can be shortened a little, it could be helpful for the Japanese companies to hire more and more individuals from abroad. Apart from my technical knowledge that I have from software engineering and the design process, maybe I can contribute in terms of diversity. Having a company where there is only one kind of people can lead to a very monotonous scenario. So when we went into Fujifilm Software, there was a little change in the atmosphere, which was kind of refreshing for the people working there, as well as for the two of us. We are getting to learn a new culture and they are getting to learn our culture. So we are developing not only in our IT skills, but other valuable skills as well. So it helps in that respect. Secondly, I would like to point out that Indians are really good at speaking English. So, if you are working in a multinational company like Fujifilm, we are not only working in Japan; we have work all over the globe and this is the place where we can fill in if the company requires that. So this can be our contribution to a Japanese company apart from our IT knowledge. Indian interns Shubham Jain and Yash Ubale programming as their Fujifilm Software Co. colleagues look on. | FUJIFILM SOFTWARE CO.
Moderator: Thank you. Mr. Yash Ubale, please. Ubale: Before telling you my point of view about working overseas, I would like to briefly describe the present scenario in India. There are many engineering colleges in India and as Mr. Iwamoto mentioned, nearly 1.5 million students apply for the JEE (Joint Entrance Examination) advanced exam. Out of those 1.5 million students, roughly 10,000 students are selected for the prestigious IIT. There are generally five different types of students. First, there are those who opt for placement in an Indian company; while others choose an overseas company; and the third type applies for civil services exams to become bureaucrats. The fourth type wishes to continue on to higher studies and the fifth type are those who plan to start a small business venture. The first two types constitute roughly 70 percent of total graduates. The number of students who seek jobs far outweighs the number of jobs available. So, in my opinion there are many students in India who would like to work overseas. I am quite flexible and open to the idea of working for a Japanese company. Japan is the first foreign country that I have visited. It has been a great experience for me so far. Japan is a great nation with pleasant weather, widely acknowledged history and fast growing and adaptive technology. People are very generous, helpful and children at heart, in a good way, especially to foreigners. Speaking of work culture, Japanese people are known to be very hard working, which is true without a doubt. Indian work culture should adapt to such a quick and intense work culture, keeping the spirit of their youth alive. Personally speaking, the work culture in Fujifilm Software is far better than what I expected. There is a colleague of mine, Mr. Iwashita, and I must say that he is a very funny guy. I am not really used to the idea of working from nine to five. By the end of the day, around three or four, it becomes very tiring for me. He is the one who encourages me, cheers me up and keeps motivating me by saying that this is my challenge and I must accomplish it. During lunchtime at my company, all of my colleagues teach me Japanese. Being born and raised in a multilingual country I am learning Japanese quite fast. They even make me draw a map of Japan and show me the places that I must visit. I even taught Hindi to everyone and with no hesitation, a few of my colleagues changed their nameplates from Japanese to Hindi. I am thankful for the friendly atmosphere and at the same time relieved to have such cheerful people around me. I would love to work for a Japanese company, and of course with Fujifilm Software. The main challenge that I faced working as an intern in Fujifilm Software was the language barrier. Thanks to Google Translate and my pantomime skills I was able to overcome it. Apart from the language barrier, I didn’t face any problems. My colleagues helped me in every personal or professional problem I faced. Considering the improvement of the IT sector in Japan, I would like to add to the point that Himanshu mentioned before. The thing about the IT sector in India is that when you actually work for any IT start-up or even a multinational IT company, you can see a foosball table, table tennis table, Playstation, Xbox, chess sets and more, allowing people to enjoy playing in their down time. This is something I would like to see in Japan as well. The project that I am working on is related to machine learning and deep learning. I am doing my best to achieve even a little improvement. As far as my contribution to Japanese companies is concerned, I would be honored if in the future Fujifilm Software uses the work I did as a reference for their task. Considering individual contributions, it’s not quite recognizable, but if you see long-term contributions I think I can contribute a lot to Fujifilm Software. Moderator: Thank you so much for your valuable feedback. Lastly, Mr. Hiroshi Hirabayashi, the president of the Japan-India Association, I’d like to ask for your opinions on this program after listening to what was discussed today. Hirabayashi: For Japan to survive, to continue to prosper in the years to come, we have to make the best use of foreign talent. Japanese companies are trying to globalize, make investments overseas or welcome foreign workers into Japan. However, in spite of the need and urgency for that, the efforts of Japanese corporations are still insufficient. So from the discussions above, many Japanese companies will learn valuable lessons. For the continuing success of the programs, the two sides have to make further efforts, both in India and Japan. Let me say first of all, we have to make many efforts in Japan, especially Japanese corporations. In my view, except for a number of truly global-minded companies, Japanese corporations have been pretty inward looking in spite of their official intentions and declarations that they want to globalize themselves. Although they increase their operations abroad, the mindset of Japanese management, generally speaking, is still inward looking. And the attitude of Japanese employees is also inward looking. The mentality of Japanese management and employees still has to catch up to international standards. Japanese universities also have to improve themselves much more to increase lectures and conferences in English and other foreign languages. They have to facilitate foreign students getting degrees, especially Ph.D.s. Between Japan and India, business exchanges are increasingly on the rise. As of October, we counted a total of 1,305 Japanese companies in India. They operate in more than 4,400 facilities such as factories, offices and others in India. However, compared to the potential and the need of Japanese firms to engage in the ever-developing Indian market, their actual presence in India is much less compared to their presence in Southeast Asia, let alone in China. Much must be done. The increasing number of Japanese corporations are anxious to do business in, and with, India not only for exporting to the Indian market and manufacturing in India , but also for exporting their products to other markets using India as a launch pad. So the possibilities of Japanese businesses to work with Indian companies and Indian IT engineering talent are great and are in fact on the rise. Still more aggressive efforts need to be undertaken by the Japanese government. Easing entry visas, especially for highly skilled talent, must be a priority. The administration of Prime Minister Shinzo Abe is very conscious of that. There is excellent chemistry between Abe and Prime Minister Narendra Modi not only on politico-security matters, but also economic cooperation and business exchanges. And Modi’s campaign for promoting “Make in India” and “Skill India” is highly appreciated by the Abe administration and Japanese business community. Now we are living in an excellent environment for promoting Indian IT engineer internships and their real engagement in Japanese companies. In my experience of 15 years with India as ambassador to India and as president of the Japan-India Association, I have the impression that Indian people in general and IT engineers in particular, tend to look to English-speaking countries, which pose fewer linguistic barriers. But Indians are expected to look beyond and broadly so that their horizons will be enlarging much more. Japan is a different culture from Indian culture, having different business practices, and yet we share the same spirituality coming from Hinduism and Buddhism. Buddhism is the offspring of ancient Brahmanism, predecessor to the Hinduism of today. To a certain degree, both share identical philosophies and religious beliefs. They are like brothers. So Indians may find Japan as a potentially very natural partner. So both in Japan and in India, the people’s mindsets have to change. The policies of the governments have to improve. For that, on both sides, we have to work together. And the potential of Japanese corporations to absorb Indian IT engineers is beyond imagination. I think many Japanese global-oriented companies are already inviting many Indian IT engineers. They are operating in various Indian cities not only in Delhi and Mumbai, but Pune, Bengaluru, Hyderabad and Chennai. They do whatever they think is necessary without disclosing it publicly. So compared to our impressions, our companies’ engagements with IIT are already developed. Additionally, the Japanese government and Japan International Cooperation Agency are now helping IIT Hyderabad to better develop its campus and facilities. 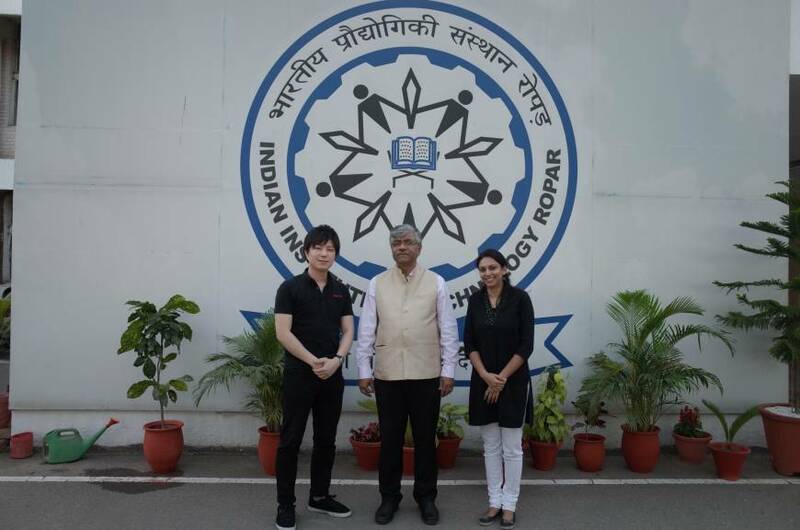 One of the Japanese student members of the Japan-India Association selected IIT Kharagpur. He is a very brilliant student from the Kansai area. I hope that he will succeed in graduating from Kharagpur. That will encourage other excellent Japanese students to look at IIT and India. In my view, not only is it very important to both nations that more IIT students come to Japan, but also that more Japanese students to go to India to explore avenues there. In conclusion, I would say that if we promote cooperation of this sort of exchange program between Japanese corporations and IIT engineers, both Indians and Japanese will be benefiting enormously. The sum of the Japanese efforts and Indian efforts will be surpassing the simple sum of the two figures. Moderator: Thank you very much for your remarks. We now clearly understand the significance of bringing in foreign IT talent to Japanese companies. 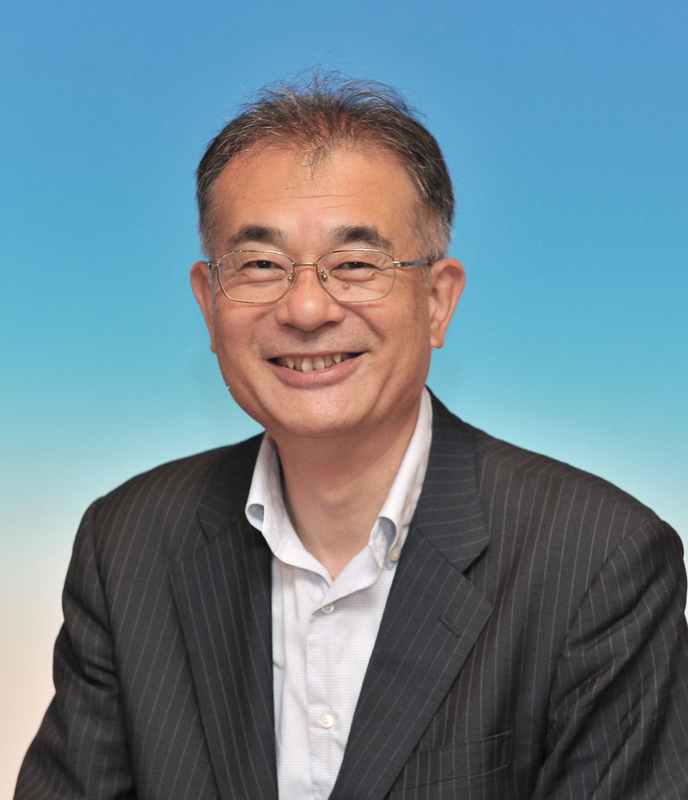 Hiroshi Hirabayashi is the president and representative director of the Japan-India Association based in Tokyo. After graduating from the University of Tokyo, Hirabayashi entered the Foreign Ministry. During 44 years of service at the ministry, he has served deputy chief of mission at the Japanese embassy in the United States, and as ambassador to both India and France. 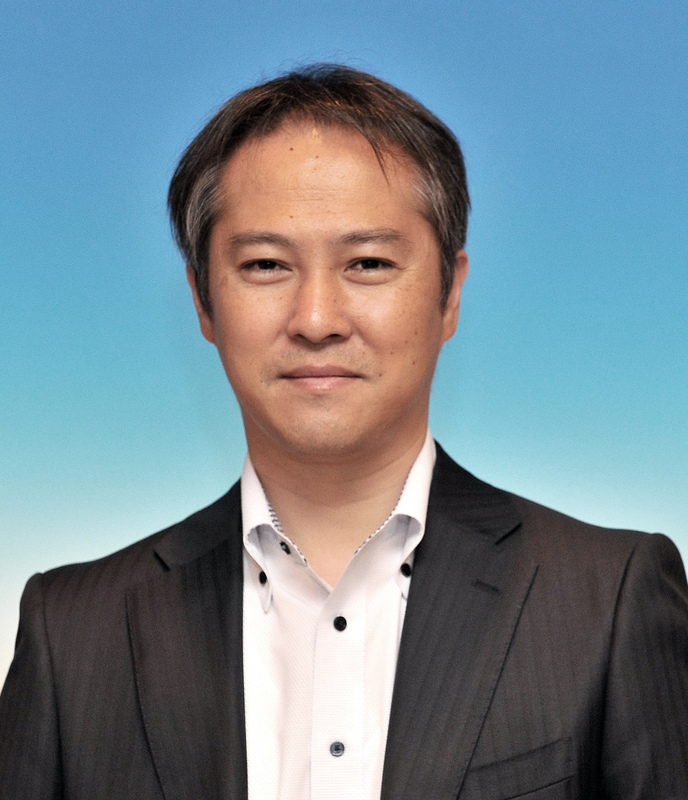 Shigeo Mizuno is the director, corporate vice president of Fujifilm Software Co. in Yokohama. Mizuno entered Fuji Photo Film Co., predecessor of Fujifilm Corp., after graduating from Yokohama National University. He was formerly the regional corporate manager at Fujifilm Asia Pacific PTE. Currently, he is in charge of the IT and administrative division. Koji Iwamoto is the deputy manager of the general planning department at Tonichi Printing Co. in Tokyo, which is a part of the Mainichi Newspapers Group. A graduate of Senshu University in Tokyo, Iwamoto has worked at various departments at the firm. 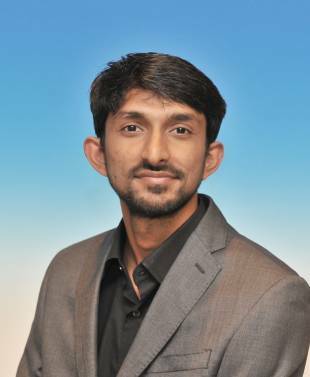 He created the web promotion team in 2015 and is now responsible for accepting Indian intern students. Himanshu Tolani is a third-year undergraduate student at the Indian Institute of Technology, Ropar, and is majoring in computer science and engineering. He is currently interning at Tonichi Printing Co. His favorite programming language is C++ and his areas of interest are machine learning, deep learning and image processing. His interests include various sports. Shubham Jain is a third-year undergraduate student at the Indian Institute of Technology, Jodhpur, majoring in computer science. Currently, he works as a software developer intern at Fujifilm Software Co. He enjoys writing software and he hopes to learn a lot from new technologies at the firm, while contributing to its future endeavors. He enjoys music and video-editing in his free time. 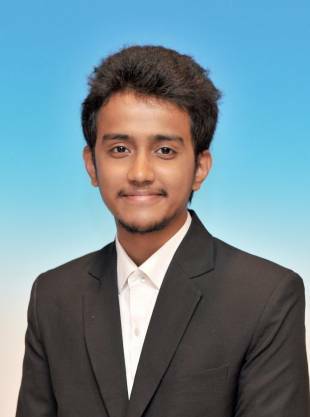 Yash Ubale is a third-year undergraduate student at the Indian Institute of Technology, Ropar, pursuing a bachelor of technology in computer science. He’s interning at Fujifilm Software Co. as a software developer. His fields of work at the company are machine learning and deep learning. His hobbies include traveling and soccer, and he wishes to further explore Japan. Toyoaki Machida is the Japan general manager of the global section at Webstaff Co. in Tokyo. 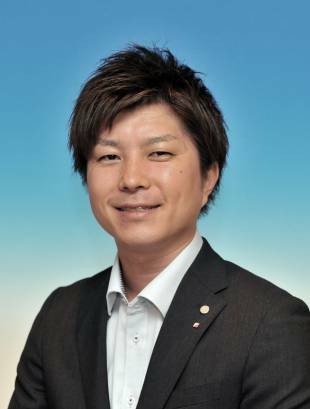 He graduated from Ritsumeikan Asia Pacific University in Beppu, Oita Prefecture, and joined Webstaff, which is a part of the Internet Business Japan Group. Machida helps Japanese companies find talented IT professionals from across the globe. Takashi Kitazume is the chief editorial writer of The Japan Times. He joined The Japan Times in 1986 after graduating from the Tokyo University of Foreign Studies. As a reporter, he has covered various fields, including politics and the economy. After serving as domestic news, foreign news editor and managing editor, he moved to his current position in 2013. Project Indian Institutes of Technology, or PIITs, is an internship program started by staffing agency Webstaff Co. in March 2016. The service connects students from the highly acclaimed Indian Institutes of Technology (IIT) and Japanese firms interested in hiring international talent, enabling the former to gain working experience at the latter for two months during their summer break. According to Webstaff, four Japanese firms took six IIT students last year, while seven firms received 11 students this year. 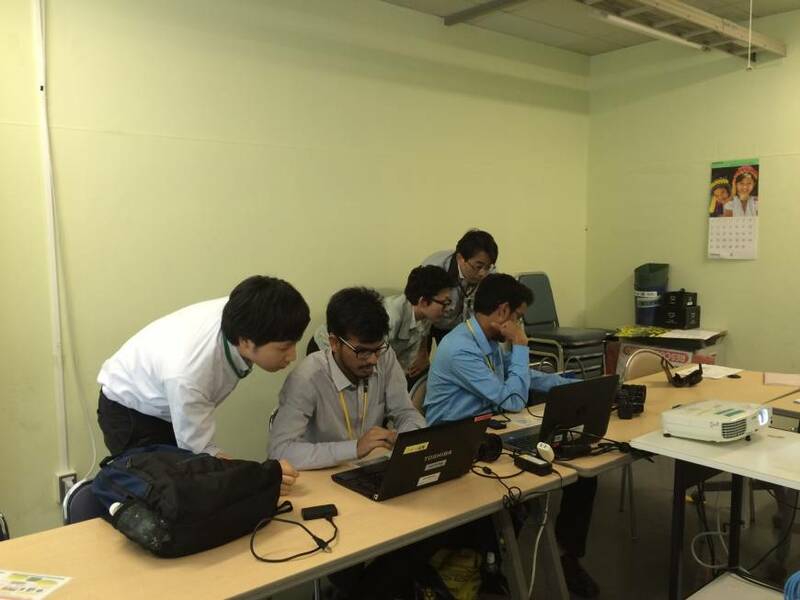 Two Japanese companies hired four students from IIT after the 2016 internship. For further information, see piits.jp/ad/ . These pages have been produced with the support of the Ogasawara Foundation for the Promotion of Science and Engineering.